The Portfolio Committee on Water and Sanitation received a commentary from a University of Johannesburg water economist, whose presentation was to help the Portfolio Committee with its responsibilities of monitoring and overseeing the Department of Water and Sanitation (DWS). The presentation focused on the implementation of laws; working within the laws and the constitution; the application of the budget and effective management; and the DWS as an effective, accountable and sustainable institution. The medium-term budget for the water infrastructure development programme was to complete 410 small, large and mega projects over the medium term, which included dams, canals, water and wastewater treatment works, reservoirs and pipelines to households; eradicating the 25 382 bucket sanitation systems in the formal settlements and 30 978 rural households with sanitation backlogs; and developing and maintaining a national water and sanitation master plan with a ten-year horizon by the 2018/19 financial year. The National Development Plan (NDP) priority on economic infrastructure calls for the expansion of the water infrastructure to support economic growth and social development/transformation goals etc. The NDP envisages full access to affordable and reliable water and sanitation before 2030 and stresses that economic growth should go hand in hand with socio-economic transformation. Sustainable Development Goals (SDGs) aim to achieve universal and equitable access to safe and affordable drinking water for all by 2030. The economist’s top six recommendations were to take immediate steps to address new leadership requirements for the DWS; implement new approaches to water and sanitation infrastructure delivery; implement a social and ethics policy to strengthen governance; appoint a National Water Resources and Water Services Advisory Council; establish a National Water and Sanitation Infrastructure Agency; and implement catchment management agencies. The Members agreed with Dr Nyabeze’s recommendations, and hoped the Committee as a whole would adopt all of them. The Chairperson commented that there were very few water economists in the country. Most professionals in the sector were either engineers or general economists, but rarely water economists. Mr Gugile Nkwinti, Minister: Water and Sanitation, told the Committee that he had organised an interactive session with the entire sector on 10 December 2018 at the Council for Scientific and Industrial Research (CSIR) to get input from the various stakeholders. He agreed with the decision of the Committee last week to send back the Department of Water and Sanitation (DWS) delegation to prepare better. He added that there had generally been a great emphasis on water but little on sanitation, particularly in the last two years. He requested the first agenda item, the progress report on the Bucket Eradication Programme (BEP), to be withdrawn and postponed to another date to allow them more time to prepare for it. Mr LJ Basson (DA) and Mr D Mnguni (ANC) supported the Minister’s request. The Chairperson concurred, and the agenda item was postponed to the following week. 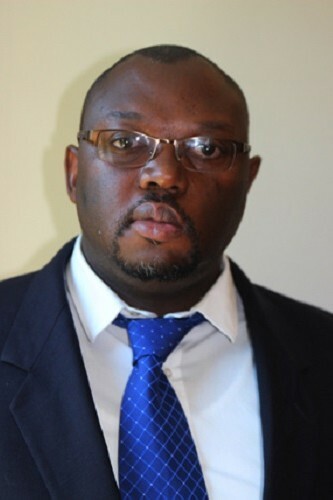 Dr Washington Nyabeze, Lecturer in Economics: University of Johannesburg, said the purpose of his commentary was to help the Portfolio Committee in its responsibilities of monitoring and overseeing the DWS focusing on the implementation of laws, working within the laws and the constitution, application of the budget, and effective management to position the DWS as an effective, accountable and sustainable institution. He would also make some recommendations. The legislative mandate of the DWS, as set out in the National Water Act (1998) and the Water Services Act (1997), is to ensure that the country’s water resources are protected, managed, used, developed, conserved and controlled by regulating and supporting the delivery of effective water supply and sanitation. This should be done in accordance with the requirements of water-related policies and legislation that are critical for delivering on the people’s right to have access to sufficient water and food, growing the economy and eradicating poverty, while safeguarding the wellbeing of current and future generations. The National Development Plan (NDP) priority on economic infrastructure calls for the expansion of the water infrastructure to support economic growth and social development/transformation goals etc. The NDP envisages full access to affordable and reliable water and sanitation before 2030, and stresses that economic growth should go hand in hand with socio-economic transformation. Sustainable development goals (SDGs) aim to achieve universal and equitable access to safe and affordable drinking water for all by 2030. Dr Nyabeze claimed that access to water and sanitation is a basic human right. The cost of water services can be very high during droughts, and treating water or waste under emergency conditions is a very expensive business. It is very expensive to treat polluted water in a river, lake or aquifer. Inequalities in relation to access to safe water and sanitation continue to persist. The risk of pollution from wastewater works is increasing. Examples included the Rietvlei Dam, Kromellenboog Dam, Koster Dam, and Hartbeesport Dam. Blue Drop certification and Green Drop assessments should include citizen experiences. The reporting on access is weak and the impact of reported empowerment levels is not visible. The medium-term budget for the Water Infrastructure Development programme was to complete 410 small, large and mega projects over the medium term, which included dams, canals, water and wastewater treatment works, reservoirs and pipelines to households; to eradicate the 25 382 bucket sanitation systems in the formal settlements and 30 978 rural households with sanitation backlogs; and develop and maintain a national water and sanitation master plan with a ten year horizon by the 2018/19 financial year. There is poor implementation of National Water Resource Strategy (NWRS), and consequently the National Water Advisory Committee should be disbanded. The Chairperson thanked Dr Nyabeze for his contribution, all at no charge to Parliament, and for covering his own accommodation and travel costs from Johannesburg to Cape Town, to give free commentary to the Portfolio Committee. He added that water was a constitutional right and more valuable than gold, and should thus be accessible to all. The next wars and conflicts around the world would be about water. Mr Mnguni commented that water was now dirty because of pollution. It now required more chemicals to treat it and at the end of the day, it was still not clean enough. He wondered where the management of water should be, between the municipalities, water boards and the National Department. He personally agreed with Dr Nyabeze’s recommendations and hoped the Committee as a whole adopted all of them. Mr Basson agreed with the recommendations and said the people who had access to water must be made water-wise to conserve that water, just as had been done in the Western Cape with their recent experience with the prolonged drought. Mr R Hugo (DA) asked if Dr Nyabeze felt that the Department could do most of the work, such as the building of dams, in-house. The Chairperson asked how best the DWS could maximise its own local innovations and technologies to save costs, rather than outsourcing and sub-contracting. He noted that the Water and Sanitation Committee was a new Committee, and so there was a need for the Members to get more exposure in the area. The DWS should therefore assist the Members in some of the processes. The Minister invited Dr Nyabeze to attend the Council for Scientific and Industrial Research (CSIR) conference on 10 December 2018 to share his presentation with other stakeholders. Dr Nyabeze responded, “Water should not be played with as if it is a product on the Johannesburg stock exchange.” He accepted the Minister’s invitation as long as there would be a question to be discussed or brainstormed at the conference. The Chairperson said that the experience of Cape Town with ‘Day Zero’ should be a lesson to the rest of the country, and that Cape Town’s situation was one that many people around the country had already been facing for years, which had made Cape Town end up seeming like “cry-babies” because they were “spoilt” in terms of their water usage habits. He gave an example that in the Parliamentary buildings, there should be a packaged water plant to re-use and save water if they were serious about saving water. Water harvesting was a simple solution that was easy to implement. Officials knew this, but there was no initiative or creativity to get it done. The Minister added that he came from a small town where it was compulsory that when one built a house, one must have a small water tank underground. When he was in China two weeks ago, there was a water treatment and purification plant at the hotel where he was staying. It would be a good idea to have such in all Government buildings, for a start.